The rose has always been my favorite flower. I love every iteration, every color (especially peach roses) ... and not because it's the flower of romance, which, if I'm being honest, would make it much less appealing to me. No, it's just because the rose is a thing of pure and utter beauty, from its petals to its lush, heady scent. 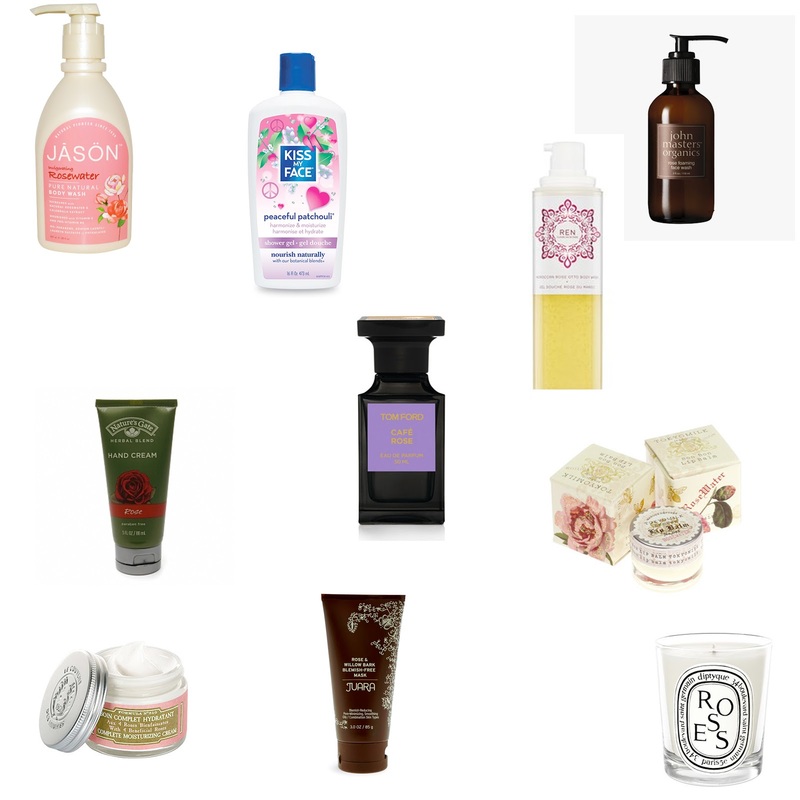 And, since Valentine's Day is this week, what better time is there to laud some of the best rose-scented beauty products? (Plus, I just love referencing one of my favorite 80s movies of all time, Don't Tell Mom The Babysitter's Dead.) Keep reading to see which 10 rose-scented beauty products made the list. I'm pretty much a fan of anything that smells like rosewater -- it's just so delicate and refined. This body wash lathers up extremely well and contains Vitamins E and B5 to nourish the skin (which is especially fabulous with the horrible winter we've been experiencing). I'm quite picky about my cleansers, but this has quickly risen to the top of my list with its mild foaming action, pleasing scent and its seemingly inexhaustive ability to cleanse away whatever impurities the day has put upon my face. This product really does tell it exactly like it is. It moisturizes! My face has really taken a beating this winter, and thanks to this cream's grapeseed oil and formulation with four roses, hydration has been restored. If you like potent hand lotions, this is not the one for you. But if you like to smell as sweet as roses, then this nourishing hand cream is right up your alley. A combination of sugared rose petals and fresh apple blossoms creates a balm that's at once moisturizing and delicious. The fragrance you'll want to keep on your vanity for years to come? It is, of course, none other than Tom Ford. Notes of narcissus, hyacinth, rose and lily are at once sensual and exotic. I've been wearing this fragrance every day for the past two weeks, and I just can't get enough. My candle collection always reaches its pinnacle when I add one from Diptyque. And Roses is at the top of my list (followed very closely by Violette), simply because it smells exactly like a garden blooming with fresh red roses. It's rich, it's foamy, it lathers incredibly well and it smells divine. I think that's pretty much all you can ask of a body wash, and this one delivers in spades. Of late, I've been getting this horribly pesky, red pimples that just don't seem to disappear no matter what I do. Enter this miracle worker, which aims to clear blemishes and keep future ones from forming with a combination of white willow bark, soothing rose, skin softening rice and pore purifying clay. Oh, and it makes skin feel super soft, too. I'm not going to lie ... I seriously hate the scent of patchouli. It's just too crunchy for me. Well, color me surprised, because this body wash -- while the patchouli scent is definitely there -- has made a definite impact on me (and my shower), thanks to its inclusion of flowers and nourishing olive oil. I don't know how I'd choose!